The Chicago Ale Fest will have one session with early entry and general admission, and will feature more than 200 craft beers, live music and some of Chicago’s favorite food trucks. Come to Chicago’s front lawn for one of the most anticipated summer craft beer events of the year. 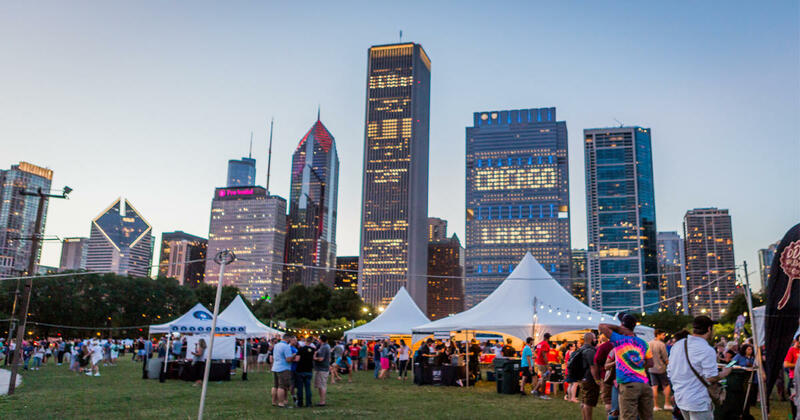 As the most anticipated summer craft beer event of the year, Chicago Ale Fest offers a unique “festival within a festival” concept, bringing five mini-festival experiences inside the gates of Grant Park, including Cider Alley, Lager Lane, West vs. East Coast IPAs, and a mini-food truck fest. + Cider Alley: Featuring craft ciders from Chicago and out of state. + Lager Lane: Featuring nothing but light-bodied and refreshing craft lagers. + West vs. East Coast IPAs: Featuring a throw-down competition between East and West coast-style IPAs. + Food Trucks: Featuring Ten of Chicago’s favorite food trucks. The Chicago Ale Fest will also offer a pre-event fitness and yoga event on Saturday morning for those who like waking up early for an early-morning workout. However, they will also can stay and enjoy the fest. Bordered by the Chicago skyline and Lake Michigan, Grant Park is the ultimate location for tasting craft beers. Tickets will sell fast, so get them today! Address: 337 E. Randolph St.